Just in the nick of time, Marshall McLean and his new band of sorrow filled yet merry men have managed to create one of my favorite albums of the year! Yes, the former frontman of one of the finest groups to ever emerge from Eastern Washington known as The Horse Thieves has created yet another landmark album to come from the Spokane area. 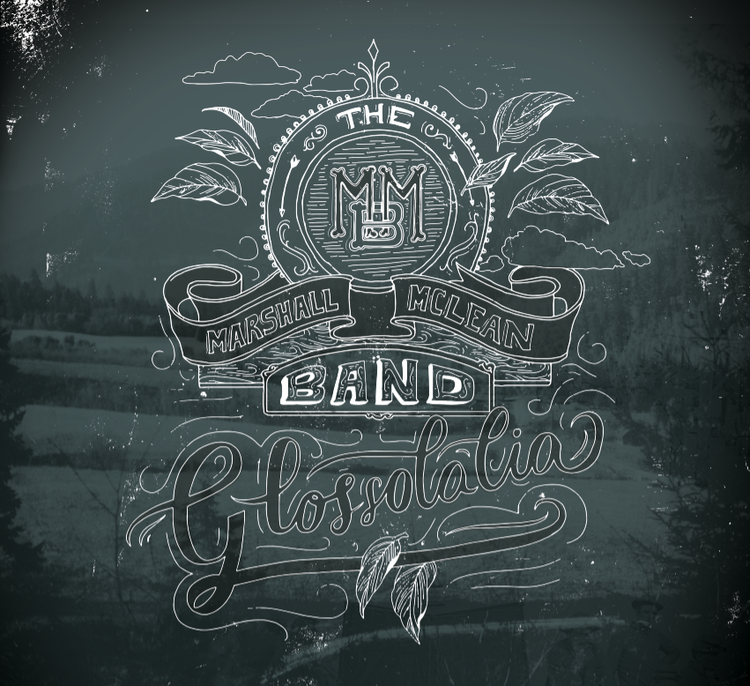 Glossolalia is a thought provoking and intelligent collection of folk tracks that have heart, spirit, and most importantly – a healthy helping of soul. Marshall’s voice is so distinctive and noticeable, that it is almost impossible not to compare him and his new band to The Horse Thieves, a group that has graced the digital pages of this site time and time again. But, there is definitely a few differences to be noted. Well, differences might be a bit of an overstatement, maybe just advancements. There is definitely a bit more electric tools being used thanks to the addition of fellow Eastern Washington/Northern Idaho based musicians like bassist Justin Landis (who has some of the finest bass lines I have ever heard in folk music), Jamie Frost who kills it on the steel pedals, and Caleb Ludwig beating his way to heaven on his Ludwig drum kit. With so much talent strewn about on this album, it is like supergroup for little known artists who have been entertaining the city of Spokane and its surround areas for such a great long while. I always find myself at a sort of bias conundrum when it comes to hearing new works from Marshall McLean or any of his associates. But, it is with great reason. These guys are simply incredible! It has been two years since I stumbled in on an acoustic set of Marshall McLean and a few friends on a winter’s Tuesday night and was absolutely stunned by his stimulating storytelling, beautifully simplistic guitar work, and the ability to create an overall warm feeling as he strummed through his tales of happens and pain, travel and longing, and everything in between. So, it is such a damn pleasure and relief to be that Glossolalia is not just another addition to his musical library, it might be his best work to date. With a new band in place, a new set of eyes to the future, there are no limits to how far Marshall McLean Band can ride the same old dusty trails that many modern folk groups have wondered down, and also come out with clean boots and strong sense of accomplishment. Because when you have an album as good as this in your holster, there is now way you are going to lose the draw. This is a beautiful collection of brilliantly told and performed tales for the modern folk fan. It is definitely an album that is not to be missed. You can listen to and pick up a copy of Glossolalia at the bands WEBSITE right now! So what are you waiting for?